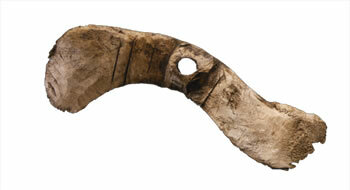 Traditional material used to make a modern implement: Bone propeller from Sleetmute. 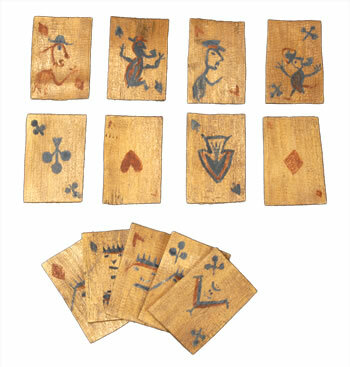 Playing cards made of wood before paper cards were readily available. 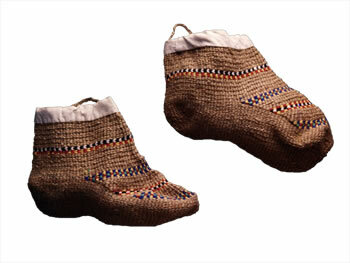 New materials were also used to create traditional items, as in these socks made with gunnysack thread, using the same technique used to make grass socks. 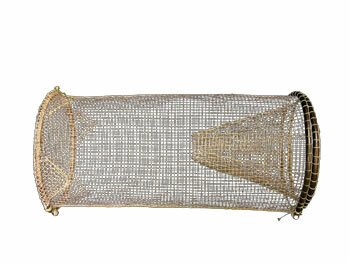 Taluyaq/Wire fish trap like those used throughout southwest Alaska today. Though easier to make and more durable than wooden traps, elders say that water makes noise against the wire, scaring the fish. 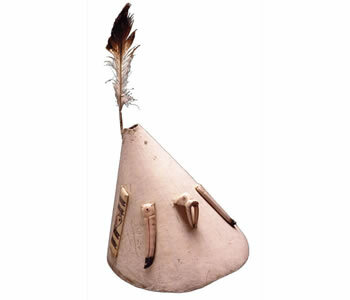 Plastic bowls and buckets, replacing sealskin pokes used to store food in the past. 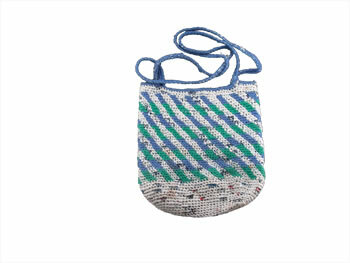 Carrying bag made from plastic shopping bags, with yarn decorations. 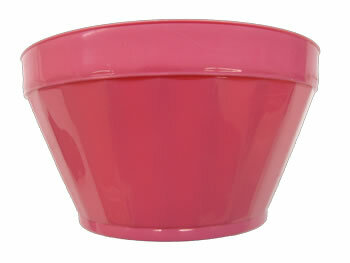 Fish dipper made from a tea pot. 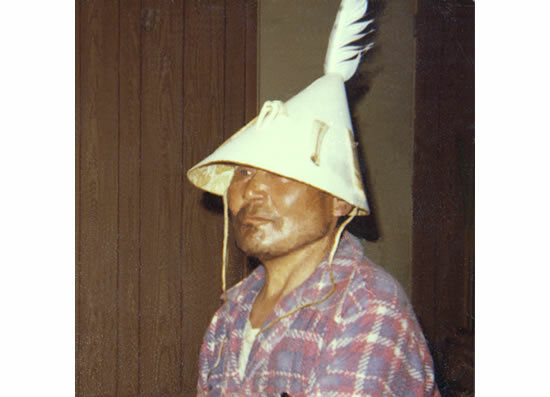 Kirt Bell models the linoleum hunting hat he made in 1974. 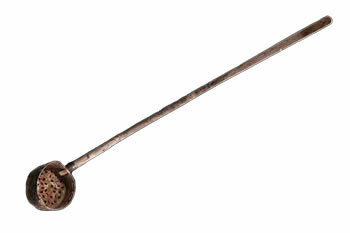 Asaaquq/Harpoon like those used today at the mouth of the Yukon, to retrieve seals shot with rifles in fresh water before they sink. Dennis Sheldon remarked: "Back then they used seal stomachs as floats, but nowadays they use anything that can float."